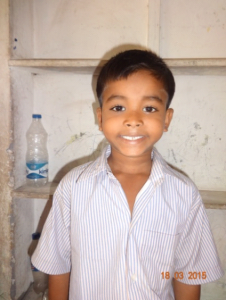 Hello, I amJjeet mondal, I live in udenpally village with my parents. My father is a daily labour but doesnot get regular Job ,because of illness. He gets works hardly 15 days in a month. My younger sister and my elder bother live in a tiny house with my parents. I love my school and the teacher. I must tell that this is the world best school. I learn lot of things, I love to listen Jesus miracle stories. I have a dream to become a police officer, I know that Jesus will fullfill my dreams.Pray for my father sickness,so that he may healthy and get job everyday.